Flat-Earthers Are Planning An Antarctic Expedition To "The Edge Of The World"
Get your fleece-lined tin foil hats at the ready, a gang of prominent flat-Earthers are reportedly interested in going on an expedition to Antartica, hoping to reveal the true nature of our planet once and for all. As reported by Forbes, prominent flat-Earthers are showing interest in a trek across (or at least towards) Antarctica. How they plan to go about this is not clear yet, but the pipe-dream looks to address one of the great totems of the flat-Earth theory: What's the deal with the South Pole? "All we have to do to shut this debate down once and for all is get the distance of the coast of Antarctica,” Jay Decasby, a prominent flat-Earther, told Forbes. “If we can get to the coast of Antarctica and sail all the way around it, we will get the distance that will prove it’s the outer edges of flat earth and refute entirely every single argument anyone can possibly try to pitch for the sun-worshipping cult of heliocentrism." "I am that guy that will make it to the edge," he added, according to Forbes. Whether or not he’s “just trolling,” remains to be seen. However, as the flat-Earthers are all too aware, the Antarctic Treaty of 1961 could make this difficult. The main purpose of this international treaty is to deny any claim of territorial sovereignty in Antarctica. However, flat-Earthers argue it strongly restricts private exploration of the area. That said, the treaty does stipulate that the area should have “freedom of scientific investigation”. Whether or not this stuff can be defined as science, however, is another question. The nature of Antarctica is a constant bugbear for flat-Earthers. The Flat Earth Society explain on their website that “along the edge of our local area exists a massive 150 foot Ice Wall… The Ice Wall is a massive wall of ice that surrounds Antarctica. 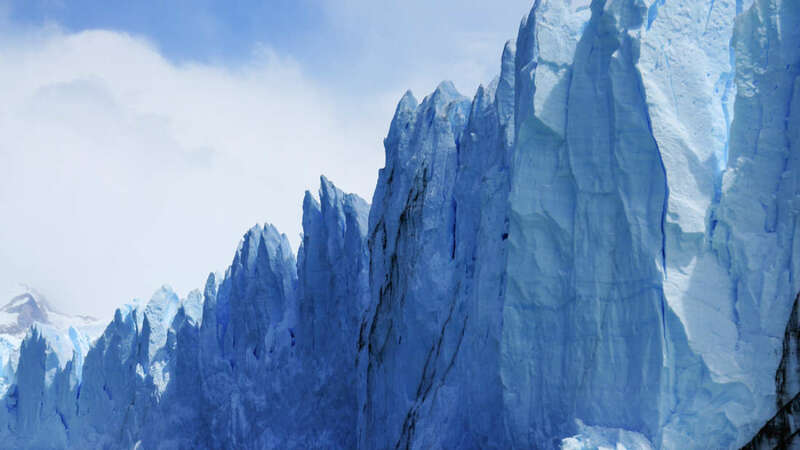 The shelf of ice is several hundred meters thick.” The purpose of this wall, so the theory goes, is to obstruct explorers from passing beyond. It almost goes without saying that Antartica has been widely explored for over a century and many people have crossed it. On December 14, 1911, an expedition team led by the Norwegian explorer Roald Amundsen became the first people to reach the geographic South Pole, beating a rival British party led by Robert Falcon Scott by over a month. The feat has since been completed by dozens of expedition teams from across the globe. You might also remember the recently proposed plans to have a flat-Earther cruise across the world’s oceans in 2020. This more modest plan is apparently already in the works, according to the Flat EarthConference, so stay tuned.